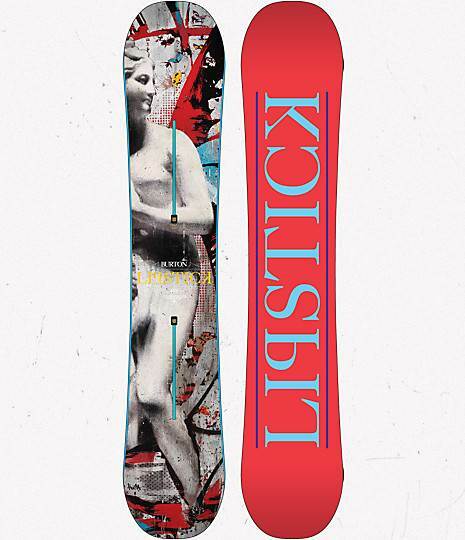 The Burton Lipstick is another V-Rocker board that is a good friend in most places in the park. 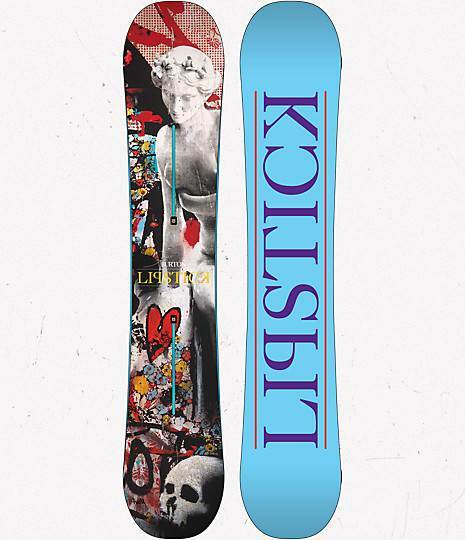 The V-Rocker and Twin shape make the lipstick very forgiving anywhere in the park. 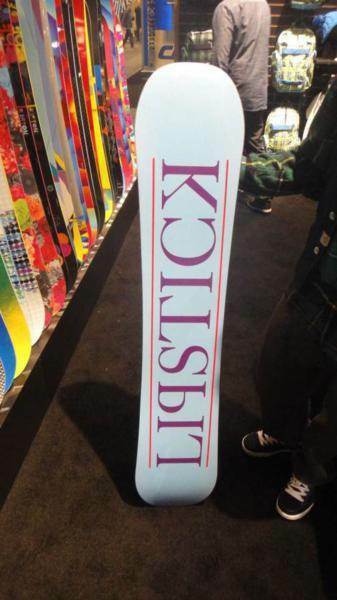 All in all the Lipstick performs really well in good conditions but we need a little more when it comes to edge hold…..even for a park board. On Snow Feel: The Flat top ride feels like it’s in between flat to rocker and continuous rocker. There is more stability between the feet than V-Rocker and Flying V-Rocker but it doesn’t have the 100% stable feel like many flat-rocker profiles we have ridden. It’s not any less forgiving than V-Rocker or Flying V-Rocker either. It’s a butter machine that can also ride the mountain in a somewhat decent fashion. Powder: Easy float in powder for a twin with flat to rocker and the board wants to stay up. 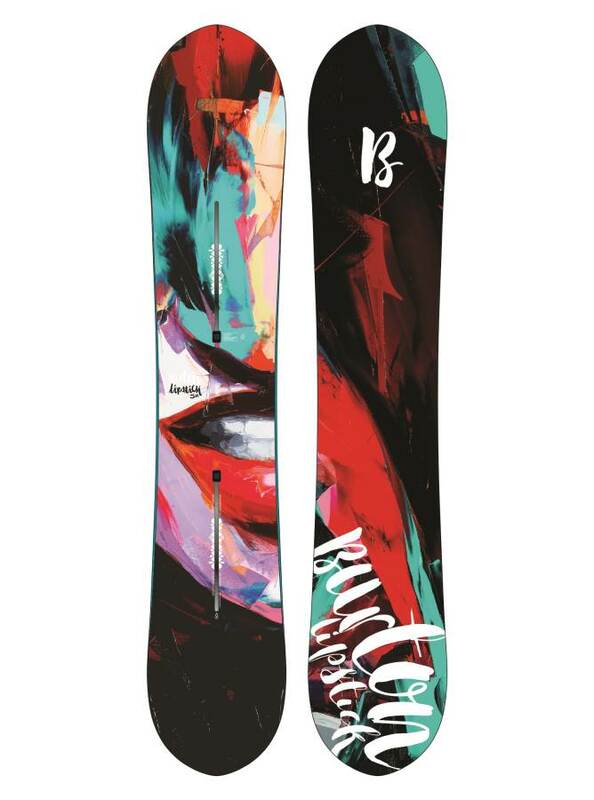 Turn Initiation and Carving: Burton’s flat top isn’t that impressive when it comes to getting the board edge to edge with a lot of springy fun that many of the other Burton Camber profiles do. It’s easy to turn and that’s about it. This isn’t really a carving board either. Speed: Medium speeds are acceptable and after that, it can get a little chattery. Uneven Terrain: Burton’s always great with uneven terrain and this is fine at the end of the day bumps that can form on groomers. Edge Hold: The only weakness is the 1/2mm extension of the edge at each binding just doesn’t provide enough edge hold. 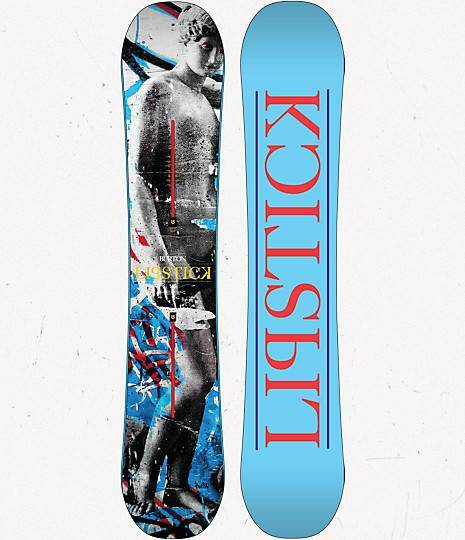 We’d like to see a little more because some competitors seem to handle better in icy conditions and in the pipe. Flex: The spoon-like nose/tail makes for an even more forgiving ride than many rocker boards and it’s just fun to butter/press/play around. 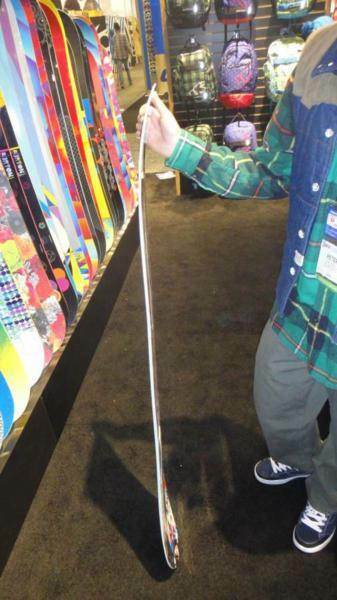 Jibbing: Not a bad jibber board for its length. Pipe: Not really a good pipe board due to the lack of carving ability and edge hold. Jumps: Middle ground pop that is acceptable for most that prefer stability over pop. Easy approach to the kicker and a pretty forgiving catch free landing. 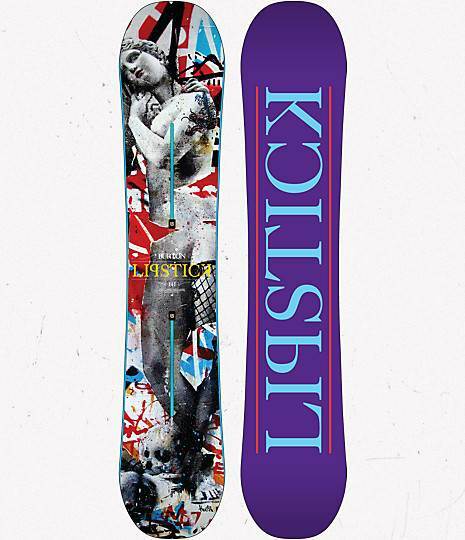 Aside from a few minor refinements the 2013 Burton Lip Stick is pretty close to the 2012. 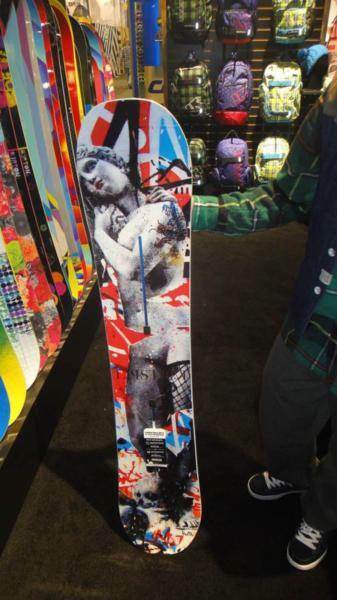 For 2012 Burton changed up the core to make it a little lighter and it fits the fem specific shape better than the old core. 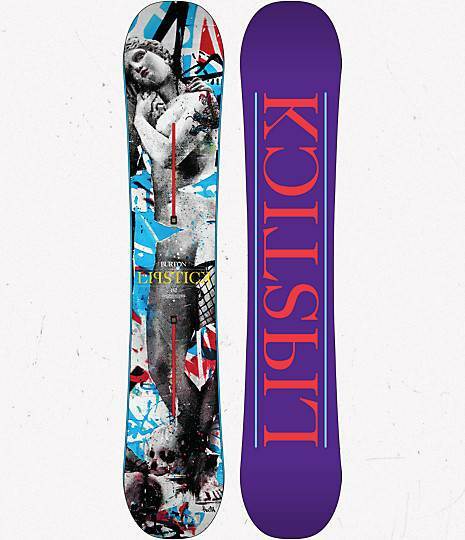 So if you ride in good conditions and love the jib/jump park the Lipstick is a great choice. We try to get as many images of the Burton Lipstick, but forgive us if they're not all there.